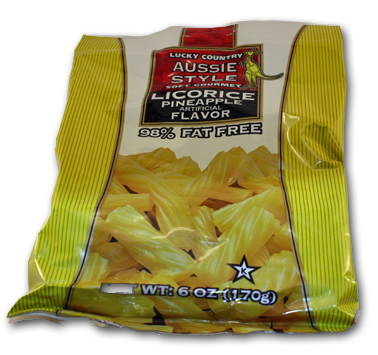 I had this sneaking suspicion that I had tried Aussie Style’s licorice offerings in the past, and wasn’t impressed by them. Did that stop me from buying two large bags at Cost Plus World Market? No sir. It did not. I had to be sure. Gotta hand it to them, they certainly whet my whistle with these bags. Nice presentation. But the proof’s in the pudding. When uncorked, they still looked inviting. The thing is,…they’re gigantic. Each piece is at least two solid bites. Why? WHY, I SAY? I’ll never understand this approach to candy making. Why not make them smaller, so you get the false impression that you can safely eat more? If that isn’t a compelling reason, how about trying to avoid having your mouth so full that you come close to gagging. On candy? Not cool. But, with all things, we make allowances. If these taste amazing, I’ll forgive the bulky size. Starting with the pineapple, both junior and I liked what what we tasted as we started chewing. Sweet, specific pineapple…..soon gave way to bland, sweet, fruit flavor. And a lot of it. By the time I was halfway through one piece, I spat it out. It’s not horrible-I was jut not getting anything out of the experience and decided to cut my losses. Junior however, enjoyed it. He’s got no class. Next up were Marionberry. Fancy, right? Guess what? Marionberry is a blackberry. Developed at Oregon State University, it’s a cross breed of blackberry that’s more robust and strong than most. It’s the most widespread type of blackberry eaten today. Guess what, “Aussie Style”? We’re on to you. No gourmet cred for you, fakers. Here I was, thinking the Marionberry was a rare treat found in the outback with Tigers and Rhinos. Just call this what it is-blackberry. Sadly, I wish that was the biggest problem with these. 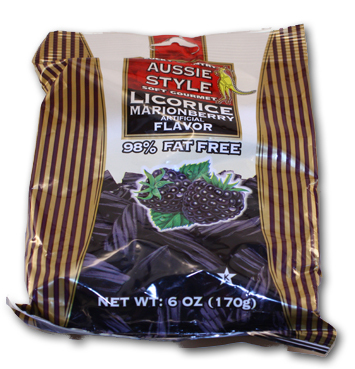 The Marionberry Aussie Style Licorice are FOUL. There’s something wrong with these, truly. In smell and taste, there’s a…savory note that left me rinsing my mouth out with water. I keep wanting to say it tasted like meat, but that’s not exactly it- I can’t quite put my finger on it. It’s so out of place, it made me wonder if they actually had gone rancid, but those fears were soon put to rest as my co-workers gladly ate them up. So it’s me. And junior, he hated them too. Kid’s got class. We at the Gurus love licorice. LOVE. 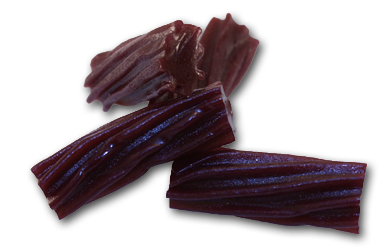 And while we’re partial to European black (real) licorice, we also love ourselves some Red Vines, Twizzlers, and other fake not real licorice efforts. It just has to taste good, that’s all we care about. And these are a joke. In the crowded licorice world, no one needs these. Yes, if there was a yummy version of pineapple and blackberry licorice, I’m sure I’d adore them. These just aren’t that. Don’t believe me? Pick them up at the link below. Oregon sounds like an amazing place. Why do the Aussies get so much licorice time? The Europes do it way better. Shame on you, mates! If you like licorice, then why not first test the “Aussie style” BLACK licorice, instead of starting with the bizarre flavours? I’ve tried only the black, and find the taste comparable to your standard American licorice, with the softer texture of the “Aussie style” a delight. Michael – I may have miswrote cuz I love me some Aussie licorice too. 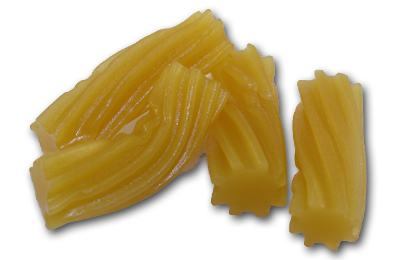 This licorice is perfect just the way it is. My friends and family here in Oregon love it.